Report written by Jay Mack and Archie Wiltshire. 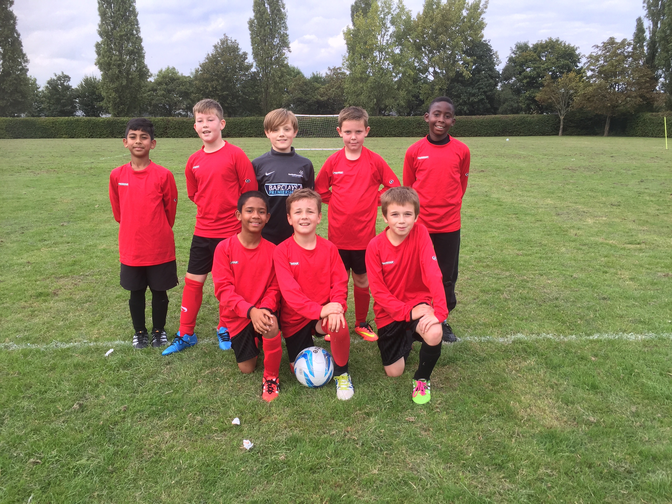 On the 21st September Drayton Park School hosted Brooksward School for our first fixture of the season. At halftime we were losing 2-1 then in the second half we played really well and scored 8. The score finished 9-2 and we were really pleased. Goal scorers were Archie x3, Josh x2, Devonte, Charlie, Lukex2. Man of the match Josh.